While surfing the vast expansions of the internet, I came across this image of a beautiful bedroom. Someday when I have a house to decorate, this is my idea of the perfect room to end my day. It is soft, feminine and bit art deco. I love that it is neutral and timeless but made interesting with pops of intense pink and blue. 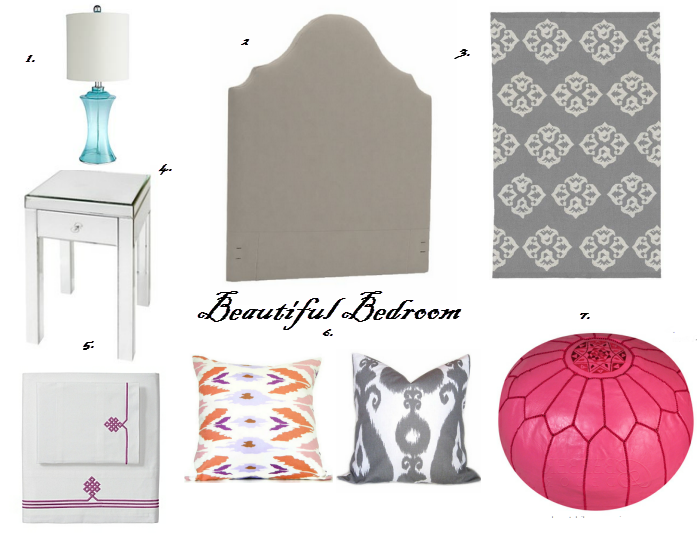 It might be a little more pink than my husband would like but for now I can have my ideal bedroom in the blog world. Although it looks super designer I thought it would be easy enough to recreate by having a look at some of my favourite design and home-ware sites.